This book is based on the authors’ experience of working as a Chinese language teacher in America for children (including pupils at kindergartens and primary schools). They designed 100 interesting classroom games in this book in an effort to combine "playing" with "studying", i.e. 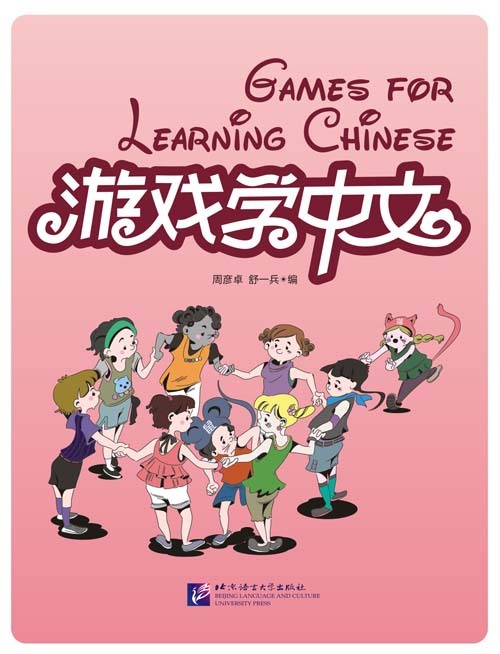 games with learning Chinese. All the games are sorted into five categories based on their language functions, 43 of them are for word practice, 13 for sentence pattern practice, 14 for Chinese character practice, 12 for listening comprehension and 18 for integrated exercises. These exercises can satisfy different teaching needs. The intuitive and lively illustration is provided in each game for the convenience of teachers. 26 kinds of expressions in given situations are provided in the appendix to introduce the commonest things that American kids are most familiar with.